Founder Patti Penny's vision of placing people first is the foundation of this employee-owned company. Please enjoy this film produced for our 25th Anniversary Celebration on May 10, 2013. Director: Brandon Goodwin, Goodwin Films Music by Fremont and the LMNOPs. When you are as ambitious and dedicated as Patti Penny, there’s no wonder her once-small local venture blossomed into a successful, high-growth corporation. Prior to starting Penmac, Patti gained extensive career experience in human resources, working seventeen years at Lily Tulip Cup Corporation and ten years at St. John’s Regional Health Center. During the course of her experiences with these organizations, Patti realized her special interest in working with people. From realization, along with a great desire to establish her own business, Patti formed the idea to start her own temp service. The original plan was simple—to open a small office that would supply temporary employees to the company her husband worked for. In 1988, Patti and her then-partner rented a small, three-room office space to begin their venture. Although there were some initial disappointments and servicing her husband’s company didn’t pan out as she had imagined, Patti knew she had stumbled upon something that she had a passion for, as well as a great opportunity working in the staffing industry. Patti faced the typical obstacles of starting a new staffing company, mainly the intense competition with other local staffing agencies. However, she had a few advantages; her experiences and background brought her to meet many people within the community, building her prospective contact list. In addition, Patti’s persistence motivated her to diligently cold-call local businesses in the Springfield area, searching for opportunities where her services were needed. Through this process, she began to build a client base. It wasn’t long before she bought out her partner’s share and began running the company independently. During its first year of business, Penmac worked mostly with small clients within the community. Soon, Penmac landed two big accounts with General Electric and Reckitt Benckiser, formerly known as French’s Mustard. Once again, her network of contacts had assisted her in her new business venture. Not only did these signature clients have a big hand in taking Penmac to the next level, the fact that they are still clients today makes an impressive statement to the commitment level and service Penmac provides all its clients. 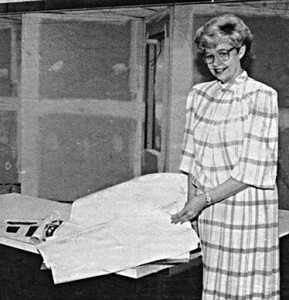 Soon, Patti’s company became a familiar name in the Springfield area. 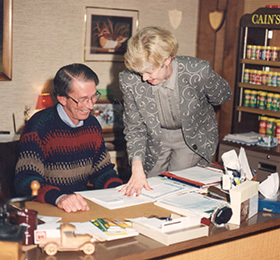 As business continued to grow, so did Penmac’s need for more office space. After a couple moves, the corporate office has settled into its current campus location of Springfield, Missouri. In 2010, Patti and the Penny family transferred ownership of Penmac to its employees with an Employee Stock Ownership Plan. In 2012, Patti stepped down as CEO and now serves as Chairwoman of the Board. Her daughter, Paula, has proudly worked along side her as President for the last ten years, and she now serves as President. Tim Massey was named CEO in 2013. All leaders are constantly seeking ways to enhance the service Penmac can provide and are extremely focused on improving work opportunities throughout its communities. Patti’s once-small, single office business has exploded into 34 branch offices in nine states. In 2017, the company generated more than 25 thousand W2 forms. 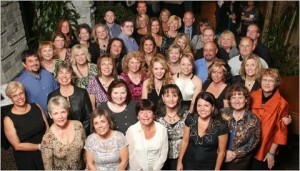 Penmac has over 1,200 business clients, and 178 internal employees, including 34 corporate employees.